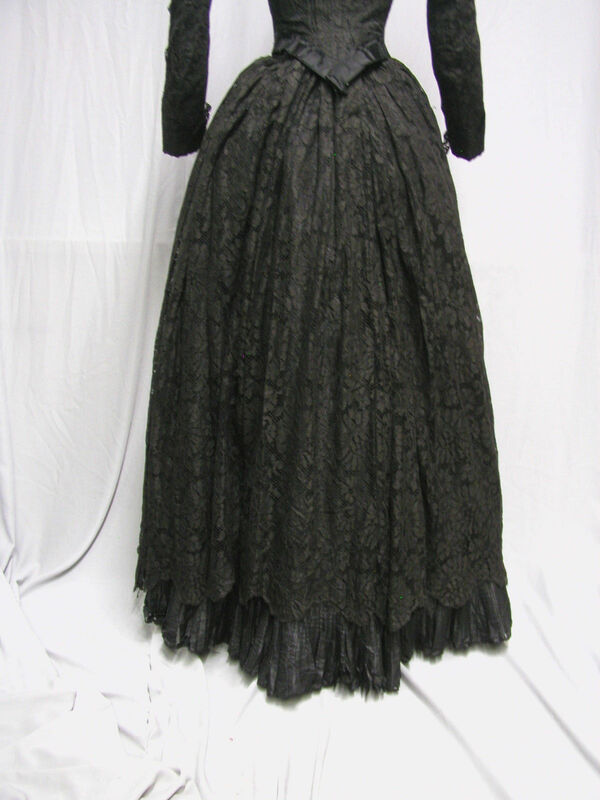 1880's Black Lace Bustle Gown: The dress is three pieces with a black silk slip, a overskirt of lace and the bodice. It is made of a cotton lace. 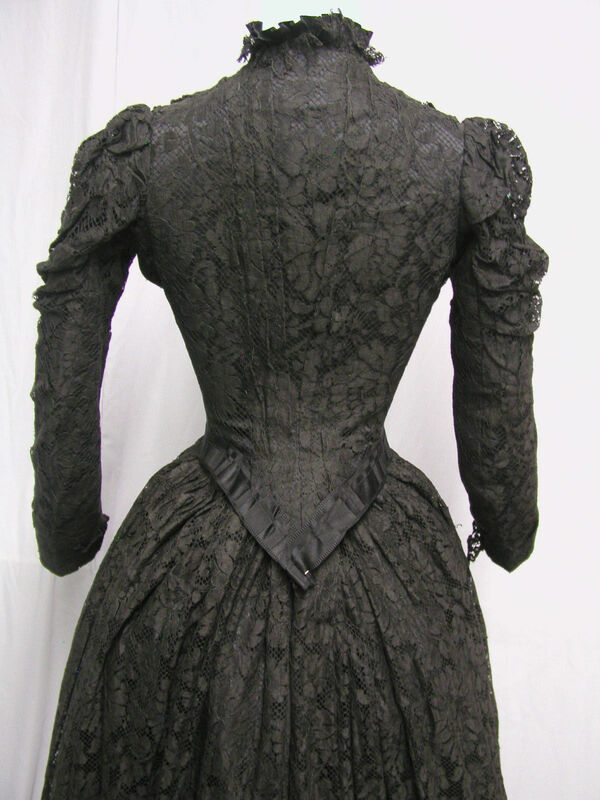 The bodice has a bust of 29”, and a waist of 22”. 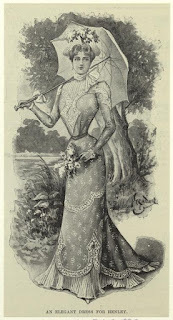 The silk under skirt has a waist of 28” and a length of 37”. The lace skirt has a waist of 26” and a length of 35.5”. Both of the skirts appear to have been altered at one time to make them larger. The silk underskirt is intact, but does have splitting and holes in the pleated bottom ruffle. 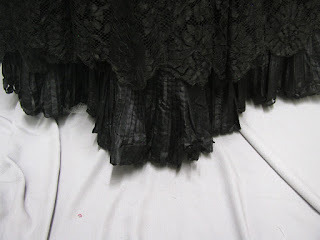 The lace overskirt is missing its hooks and eyes, and there are places where the lace needs mending. The worst hole is the one that is photographed. 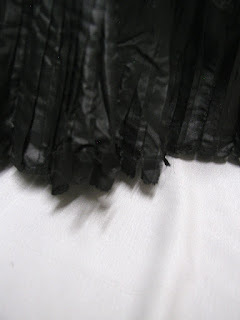 These don't show up because of the black silk underskirt. The bodice is in good condition but has no hooks and eyes on the over-lace. I think that it was just pinned into place at the neckline. It does have an old smell. It makes a lovely display as you can see. It would also be great for inspiration. 1898/99, based on the sleeves and the slight pigeon front. 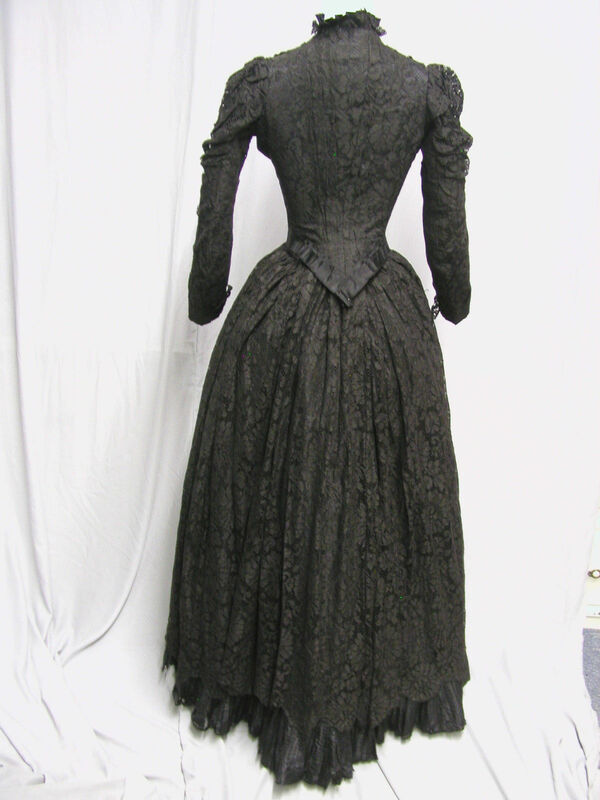 I have no idea why this seller insists everything they have is a bustle. This isn't. Most of us have enough junk in the trunk to wear this without any additional padding being necessary. This dress at the Met has a similar sleeve shape. The fashion plate above, from 1899, has a very similar hem treatment to the extant dress. WOW! Titanic Era Dinner Dress. 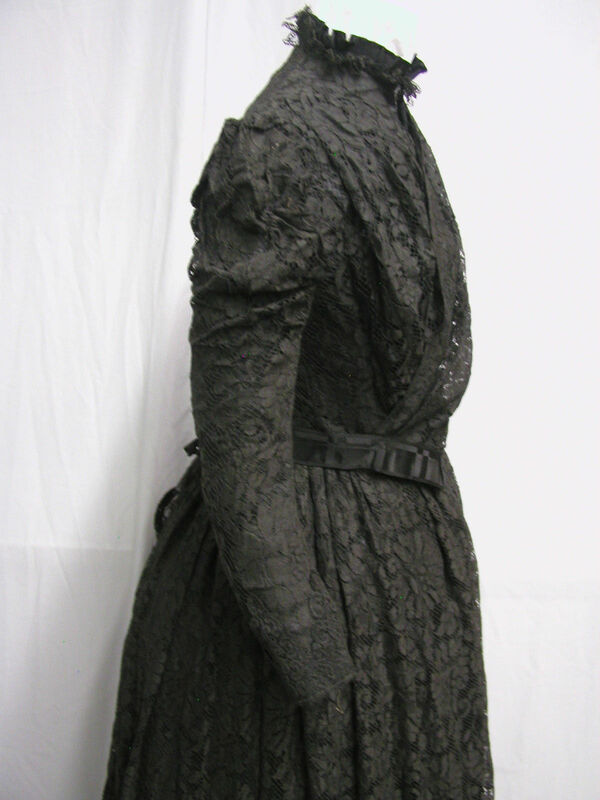 Early 1890's Outfit with Droolable Buttons!